Divisions between Irish Catholics and Irish Protestants played a major role in the history of Ireland from the 16th to the 20th century, especially the Home Rule Crisis and the Troubles. While religion broadly marks the delineation of these divisions, the contentions were primarily political and related to access to power. For example, while the majority of Irish Catholics saw themselves as having an identity independent of Britain and were excluded from power, a number of the instigators in rebellions against British rule were in fact Protestant Irish nationalists, although most Irish Protestants opposed separatism. In the Irish Rebellion of 1798 Catholics and Presbyterians, who were not part of the established Church of Ireland, found common cause. Irish Catholics are found in many countries around the world, especially the Anglosphere. Emigration increased exponentially due to the Great Famine in the mid 1800s. In the United States, hostility and violence towards Irish Catholics was expressed by the Know Nothing movement of the 1850s and other 19th century anti-Catholic, anti-Irish groups. By the 20th century, Irish Catholics were well established in the United States and are now part of mainstream American society. ^ "Selected Social Characteristics in the United States (DP02): 2013 American Community Survey 1-Year Estimates". U.S. Census Bureau. Retrieved December 11, 2014. ^ Carroll, Michael P. (Winter 2006). "How the Irish Became Protestant in America". Religion and American Culture. 16 (1). University of California Press. pp. 25–54. Of the 1,495 respondents who identified themselves as "Irish," 51 percent were Protestant and 36 percent were Catholic. ^ Evans, Jocelyn; Tonge, Jonathan (2013). "Catholic, Irish and Nationalist: evaluating the importance of ethno-national and ethno-religious variables in determining nationalist political allegiance in Northern Ireland". Nations and Nationalism. 19 (2): 357–375. doi:10.1111/nana.12005. ^ "U.S. Census". U.S. Census Bureau. Retrieved 13 April 2008. From Ghetto to Suburbs: From Someplace to Noplace? The Act of Settlement 1662 was passed by the Irish Parliament in Dublin. It was a partial reversal of the Cromwellian Act for the Settlement of Ireland 1652, which punished Irish Catholics and Royalists for fighting against the English Parliament in the Wars of the Three Kingdoms by the wholesale confiscation of their lands and property. The Act describes itself An act for the better execution of His Majesty's gracious declaration for the Settlement of his Kingdom of Ireland, and the satisfaction of the several interests of adventurers, soldiers, and other his subjects there. Americanism was a group of related views among American Catholics denounced as heresies by the Holy See. This was because these views tended to endorse the separation of church and state and encourage individualistic thinking. European "continental conservative" clerics thought they detected signs of modernism or classical liberalism of the sort the Pope had condemned in the Syllabus of Errors in 1864. They feared that these doctrines were held by and taught in the 1890s by many members of the American Catholic hierarchy, who denied that they held these views.Pope Leo XIII wrote against these ideas in a letter to Cardinal James Gibbons, published as Testem benevolentiae nostrae. The Pope lamented an America where church and state are "dissevered and divorced" and wrote of his preference for a closer relationship between the Catholic Church and the State along European lines.The long-term result was that the Irish Catholics who largely controlled the Catholic Church in the United States increasingly demonstrated their total loyalty to the Pope, and traces of liberal thought in the Catholic colleges were suppressed. At bottom it was a cultural conflict, as the continental conservative Europeans, angered at the heavy attacks on the Catholic Church in Germany, France and other countries, did not appreciate the active individualism in America. Archbald is a borough in Lackawanna County, Pennsylvania, United States. It is named for James Archbald, who was the first mayor of Carbondale, Pennsylvania. Before being renamed in Archbald's honor, the name of the settlement was White Oak Run. The vast majority of the settlers were Irish Catholics, fleeing the potato famine in Ireland. The population was 6,984 at the 2010 census. The village of Eynon is incorporated into Archbald. Byrnesville was a town located in Conyngham Township, Columbia County, Pennsylvania, United States. It was located about halfway between Centralia and Ashland. In 1985, the population of Byrnesville was approximately 75. Byrnesville was founded in 1856. Most of the residents were Irish Catholics who worked in the local anthracite coal mines. It was made up of Upper and Lower Byrnesville. The first homes were built in Lower Byrnesville around 1856 and in Upper Byrnesville around 1865. An elementary school was located in Byrnesville but was discontinued in the 1930s.Byrnesville was one of the casualties of the Centralia mine fire. The last home in Byrnesville was torn down in 1996, which spelled the end for this town. The only remaining structures there now are a religious shrine on a hillside, a storage trailer, and an unused garage. The present-day routing of Pennsylvania Route 61 follows what was an old logging road through Byrnesville, bypassing sections of the original route of the four-lane highway which has been heavily damaged by subsidence caused by the underground fire. The Cathedral of Saint Theresa of Lisieux, or the Cathedral of Saint Theresa of the Little Flower, normally referred to as St. Theresa's Cathedral, is a Roman Catholic cathedral in the City of Hamilton, Bermuda. It is one of two cathedrals in Hamilton, the other being that of the state church, the Anglican church of Bermuda (before 1978, a bishopric of the Church of England), the Cathedral of the Most Holy Trinity. St. Theresa's is the seat of the Catholic Bishop of Bermuda.Catholicism, along with any other denomination not considered part of the Church of England and any non-Christian faiths, was outlawed in Bermuda, as in the rest of English territory, from the time of settlement (1609 to 1612). Enfranchisement of Catholics in Britain and the colonies followed the incorporation of the Kingdom of Ireland within the Kingdom of Great Britain, to form the United Kingdom of Great Britain and Ireland in 1801. The Roman Catholic Relief Act 1829 allowed British and Irish Catholics to sit in the Parliament. The Church of St. Michael and St. Anthony is a Roman Catholic church located in Mile End, Montreal. It was originally built as the Church of St. Michael and frequented by Irish Catholics. Because of the growth of the Polish community in the area, in 1964 a Polish mission was inaugurated in the church and the church's name was expanded to "St. Michael and St. Anthony".The church exemplifies cultural hybridity, being a Byzantine-styled church, built for Irish Catholics, in a multicultural neighbourhood, and being home today to mostly Poles and Italians. The church has also been noted for its Byzantine Revival architecture, complete with a dome and minaret-styled tower, making it "one of the more unique examples of church architecture in Montréal." The Dead Rabbits was the name of an Irish American criminal street gang in Lower Manhattan in the 1850s. The Dead Rabbits were so named after a dead rabbit was thrown into the center of the room during a gang meeting, prompting some members to treat this as an omen, withdraw, and form an independent gang. Their battle symbol was a dead rabbit on a pike. They often clashed with Nativist political groups who viewed Irish Catholics as a threatening and criminal subculture. The Dead Rabbits were given the nicknames the "Mulberry Boys" and the "Mulberry Street Boys" by the New York City Police Department because they were known to have operated along Mulberry Street in the Five Points. Sir Frank Smith, (March 13, 1822 – January 17, 1901) was a Canadian businessman and senator. He was born in County Armagh in Ireland and in 1832 came to Canada with his family and his father established a farm in Etobicoke. Smith went into commerce, first working as a clerk in several Toronto stores, and then opening his own wholesalers in London, Ontario in 1849. After a few years of limited business, the arrival of the railway in London set off an economic boom and Smith prospered greatly. He expanded his business interests, including becoming the primary shareholder in the Toronto Street Railways. Smith made his fortune with the streetcar service generating record products by cutting costs, not replacing aged cars and requiring his employees to work 14-hour days, six days a week for $8 to $9 a week. When his workers threatened to join the Knights of Labor trade union he locked them out resulting in three days of violent protests. Mayor William Holmes Howland and the press supported the workers' right to organize but Smith refused to allow a union and criticized the city government for failing to maintain order. In the end, Smith allowed limited pay increases but refused to allow a union and fired the organizers prompting a strike and the establishment of a rival, worker run "Free Bus Company" which was soon out of business when its fleet was destroyed by fire. Smith's actions alienated the Toronto working class, particularly Catholic workers among whom he hoped to build a political base. Smith sold his share of the TSR to the city in 1881 for $500,000.In 1866, he was elected mayor of London, Ontario. Originally a supporter of the Reform movement that evolved in the Liberal Party, Sir John A. Macdonald persuaded him to switch his allegiance to the Conservatives and organize support for the Tories among the Irish Catholic community. In 1871, he was appointed to the Senate of Canada as a Liberal-Conservative and served in Sir John A. Macdonald's cabinet from 1882 to 1891 as minister without portfolio. He continued in the cabinet when Sir John Joseph Caldwell Abbott became prime ministare and served as Minister of Public Works, and Controller of Customs (Acting) from 1891 to 1892 following the resignation of Sir Hector-Louis Langevin. Due to age and poor health he declined to continue in cabinet when Sir John Sparrow David Thompson became prime minister in 1892. Following Thompson's death in December 1892, Governor General Lord Aberdeen invited Smith to become prime minister but he declined. He agreed, however, to return to cabinet as a minister without portfolio under Mackenzie Bowell and then Sir Charles Tupper until the Conservatives were defeated in the 1896 federal election.In politics, Smith was an advocate of the rights of Irish Catholics and lobbied for the appointment of Irish Catholics to patronage positions. In 1872, he lobbied Macdonald for the gradual release of Fenian raiders who had attempted military attacks on Canadian soil in order to promote Irish independence. Smith was created a Knight Bachelor in June 1894. Ireland during the period 1536–1691 saw the first full conquest of the island by England and its colonization with Protestant settlers from Great Britain. This established two central themes in future Irish history: subordination of the country to London-based governments and sectarian animosity between Catholics and Protestants. The period saw Irish society transform from a locally driven, intertribal, clan-based Gaelic structure to a centralised, monarchical, state-governed society, similar to those found elsewhere in Europe. The period is bounded by the dates 1536, when King Henry VIII deposed the FitzGerald dynasty as Lords Deputies of Ireland (the new Kingdom of Ireland was declared by Henry VIII in 1541), and 1691, when the Irish Catholic Jacobites surrendered at Limerick, thus confirming British Protestant dominance in Ireland. This is sometimes called the early modern period. The English Reformation, by which Henry VIII broke with Papal authority in 1536, was to change Ireland totally. While Henry VIII broke English Catholicism from Rome, his son Edward VI of England moved further, breaking with Papal doctrine completely. While the English, the Welsh and, later, the Scots accepted Protestantism, the Irish remained Catholic. Queen Mary I then reverted the state to Catholicism in 1553–58, and Queen Elizabeth I broke again with Rome after 1570. These confusing changes determined their relationship with the British state for the next four hundred years, as the Reformation coincided with a determined effort on behalf of the English state to re-conquer and colonise Ireland thereafter. The religious schism meant that the native Irish and the (Roman Catholic) Old English were to be excluded from power in the new settlement unless they converted to Protestantism. Irish Canadians (Irish: Gaedheal-Cheanadaigh) are Canadian citizens who have full or partial Irish heritage including descendants who trace their ancestry to immigrants who originated in Ireland. 1.2 million Irish immigrants arrived from 1825 to 1970, and at least half of those in the period from 1831–1850. By 1867, they were the second largest ethnic group (after the French), and comprised 24% of Canada's population. The 1931 national census counted 1,230,000 Canadians of Irish descent, half of whom lived in Ontario. About one-third were Catholic in 1931 and two-thirds Protestant.The Irish immigrants were majority Protestant before the famine years of the late 1840s, when far more Catholics than Protestants arrived. Even larger numbers of Catholics headed to the United States; others went to Great Britain and Australia.The 2006 census by Statistics Canada, Canada's Official Statistical office, revealed that the Irish were the 4th largest ethnic group, with 4,354,000 Canadians with full or partial Irish descent or 15% of the country's total population. This was a large and significant increase of 531,495 since the 2001 census, which counted 3,823,000 respondents quoting Irish ethnicity. According to the National Household Survey 2011, the population of Irish ancestry has increased since 2006 to 4,544,870. The Irish Confederate Wars, also called the Eleven Years' War (derived from the Irish language name Cogadh na hAon Bhliana Déag), took place in Ireland between 1641 and 1653. It was the Irish theatre of the Wars of the Three Kingdoms – a series of civil wars in the kingdoms of Ireland, England and Scotland (all ruled by Charles I). The war in Ireland began with a rebellion in 1641 by Irish Catholics, who tried to seize control of the English administration in Ireland to force concessions for Catholics. This developed into an ethnic conflict between Gaelic Irish and old English Catholics on one side, and English and Scottish Protestant colonists on the other. 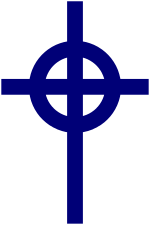 Catholic leaders formed the Irish Catholic Confederation in 1642, which controlled most of Ireland and was loosely aligned with the Royalists. The Confederates and Royalists fought against the English Parliamentarians and Scottish Covenanters. In 1649, a Parliamentarian army led by Oliver Cromwell invaded Ireland and by 1653 had conquered the island. The war was both a religious and an ethnic conflict – fought over who would govern Ireland, whether it would be governed from England, which ethnic and religious group would own most of the land, and which religion would predominate in the country. It was the most destructive conflict in Irish history. The Irish Rebellion of 1641 (Irish: Éirí Amach 1641) began as an attempted coup d'état by Irish Catholic gentry, who tried to seize control of the English administration in Ireland to force concessions for Catholics. The coup failed and the rebellion developed into an ethnic conflict between the Gaelic Irish and old English Catholics on one side, and both ethnically English Protestants and Scottish/Presbyterian planters on the other. This began a conflict known as the Irish Confederate Wars. The rising was sparked by Catholic fears of an impending invasion of Ireland by anti-Catholic forces of the English Long Parliament and the Scottish Covenanters, who were defying the authority of King Charles I (king of England, Scotland, and Ireland). In turn, the rebels' suspected association with Charles helped start the English Civil War. The English and Scottish Parliaments refused to raise an army to put down the rebellion unless it was under their command rather than the King's. The Irish rebellion broke out in October 1641 and was followed by several months of violent chaos before the Irish Catholic upper classes and clergy formed the Catholic Confederation in the summer of 1642. The Confederation became a de facto government of most of Ireland, free from the control of the English administration and loosely aligned with the Royalist side in the Wars of the Three Kingdoms. The subsequent Irish Confederate Wars continued in Ireland until the 1650s, when Oliver Cromwell's New Model Army decisively defeated the Irish Catholics and Royalists, and re-conquered the country. The 1641 Irish Rebellion is seen as a key event in the mid-17th century collapse of the Stuart monarchy. Marysland Township is a township in Swift County, Minnesota, United States. The population was 102 at the 2000 census. Originally settled by a colony of Irish Catholics, Marysland Township was organized in 1879. Matthew O'Conor Don (Irish: Mathghamhain Ó Conchubhair Donn; 1773–1844) of Ballinagare, County Roscommon, Ireland was an Irish historian, the O'Conor Don and de jure King of Connacht. O'Conor Don was the grandson of Charles O'Conor Don (1710-1791) the famed Irish antiquarian of the 18th century. His brother the Rev. Charles O'Conor (1767-1828) was likewise a historian. Matthew was educated for the priesthood in Rome, but changed his mind and became by profession a lawyer.Matthew was highly regarded by fellow Irish scholars such as George Petrie and John O'Donovan. To the latter he gave unstinting aid during his field work in Roscommon for the Ordnance Survey; O'Donovan held him in very high regard, not only because of his historical efforts and political work, but also because of his noble descent and status as a Prince of the Royal Family of Connacht. In this he was not alone; during the Tithe War a large assembly of Roscommon Catholics unanimously elected him King of Connacht (in his absence) and sent word to him to meet them at Carnfree for the formal inauguration. He wrote The History of Irish Catholics from the Settlement in 1691, based on letters of his grandfather Charles O’Conor to Dr. John Curry. Michael Patrick O'Connor Cox (born c. 1945) is an Irish independent bishop. He is the best known member of the Traditionalist Catholic "Tridentine" movement in Ireland and is also known for ordaining the singer Sinéad O'Connor. He is the founder and bishop superior of the Irish Orthodox Catholic and Apostolic Church. Ottawa Ward is a former ward in Ottawa, Canada. It was one of the original wards of the city, created in 1855 from parts of Centre Ward and East Ward in Bytown. It was abolished in 1952, when it was overtaken by By Ward. Ottawa Ward for its entire existence, was located in the area of Ottawa north of St. Patrick Street, between the Rideau River and the Ottawa River. This area is the oldest part of the city, and for much of its existence, was home to the lower class of Ottawa, mainly French and Irish Catholics. This area is better known by its neighbourhood name, Lower Town. The Oxford Parliament (also known as the King's Oxford Parliament or Mongrel Parliament) was the Parliament assembled by King Charles I for the first time on 22 January 1644 and adjourned for the last time on 10 March 1645, with the purpose of being an instrument of the Royalist war campaign. Charles was advised by Edward Hyde and others not to dissolve the Long Parliament as this would violate the statute of 1641 which said that Parliament could not be dissolved without its own consent. So all members of the Long Parliament were summoned by King Charles to assemble for a session of Parliament to be held at Christ Church Hall, Oxford. Eighty-two peers, which was most of the House of Lords, and 175 commoners, which was about one-third of the House of Commons, heeded the summons and came. Sir Sampson Eure was elected as Speaker of the House of Commons.The Parliament met a number of times during the English Civil War and was seen by Charles as a way of raising revenue. However, some of the members defected back to Westminster because they did not like his alliance with Irish Catholics, and others argued strongly for a negotiated peace with the Long Parliament in Westminster Hall. The first session lasted from 22 January 1644 until 16 April 1644. The second session was from 8 October 1644 until 10 March 1645. Not much is known of its proceedings because all its records were burnt just before Oxford fell to Parliamentary forces in 1646. St. Patrick's Parish Complex is a historic church building, with associated rectory and cemetery, located at Northfield Church and Whitmore Lake Roads in Ann Arbor, Michigan. The complex was added to the National Register of Historic Places in 1982 and designated a Michigan State Historic Site in 1976. The complex is significant both because of its historical association with the early Irish Catholics in the area, and because of the architecturally important Gothic revival church.